FREE! SUP is the fastest growing sport in the paddling community not only across the country, but especially right here in land-locked areas like Iowa. It's fun, healthy as a total body work-out and offers a unique perspective when it comes to being on the water. After a quick demonstration try out the boards for yourself! If you do not bring a life jacket one will be provided to you. Paddler must weigh LESS than 250 LBS. Children must be 16 years or older. 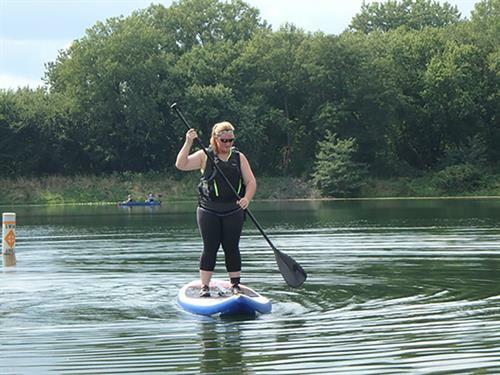 Our Stand Up Paddleboard programs will be on the last Saturday of every month, Ending after Labor Day Weekend with Saturday September 7th.